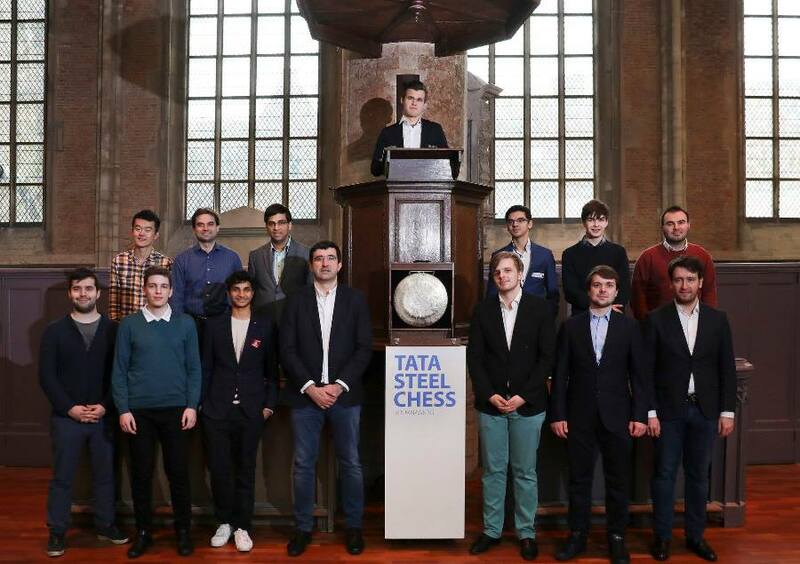 Magnus Carlsen is the sole leader of the Tata Steel Masters with 3 rounds to go after beating his great rival Vishy Anand in a 6.5-hour grind. Ian Nepomniachtchi, their co-leader at the start of the day, was put to the sword by Jorden van Foreest, but Anish Giri is only half a point behind after a fourth win with Black, this time against Vladimir Fedoseev. There was action everywhere, with Richard Rapport grabbing a first win with the move of the day, while Vladimir Kramnik sank to new depths as he was blown away in the opening by Vidit. The Challengers was just as dramatic, with Maksim Chigaev still leading after winning a lost position against Praggnanandhaa. 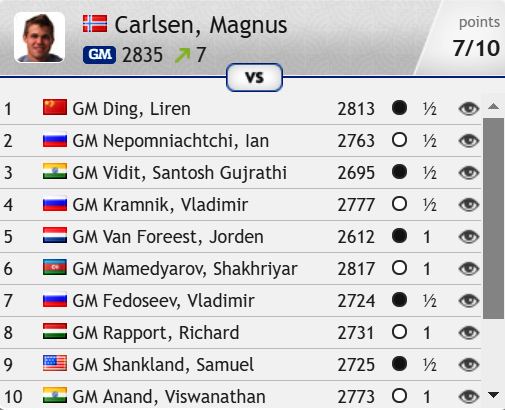 After a slow start in Wijk aan Zee everything is suddenly going Magnus Carlsen’s way. The World Champion has now scored 5/6 in the last six rounds and has pulled away from Fabiano Caruana to open up a 14.6 point gap at the top of the rating list. To continue thinking of ways to ask questions, thinking of ways to demand micro-decisions which require precision from Black, is also a very specific skill, and Magnus is arguably the best in the world at that. And also because there are so few people who can ask those questions properly, people actually have much less experience defending positions like this against a persistent inquisitor than you would think… This part of the game doesn’t get trained nearly as much as some others. Obviously it was a huge win today. I never at any moment thought it was very likely. I was always better but… a very, very tough day! It was very funny because I looked at this line before today’s game as well, and the point there is that White goes Be3 first, and then exf4 Bxf4, and Nepomniachtchi took on f4 with the bishop still on c1, so he got a theoretical position a tempo down. And the theoretical position not a tempo down is also very unclear… You might give a tempo in the Berlin and be still surviving, but in the Najdorf you cannot give a tempo! Things went almost like clockwork for White after that, though 26.Qg2?! was a get out of a jail card for Nepomniachtchi. He could have played 26…Ne3!, but he let his chance slip with 26…Nf6? 27.Bxh6! saw Jorden begin to crash through, though the reverse of that move, 31.Bc1!! was even better. 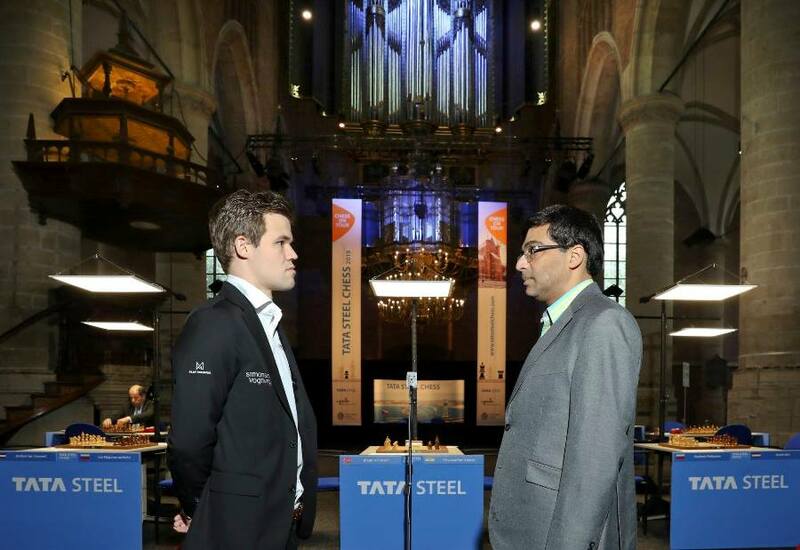 The only thing stopping Magnus having a full point lead after Round 10 is that Anish Giri managed to win a 4th game with the black pieces in this year’s Tata Steel Masters. How important is it that you’re half a point ahead in the final round? I don’t know, I’m not afraid of him! It would now be a draw if not for the exquisite 37…Rc8!! and however Black captures on c8 a bishop check from e6 will win the game. It finished, 38.Rxc8 Be6+ 39.g4 hxg4+ 40.fxg4 Qxe3+ 41.Kh4 Qf2+ and White resigned (after 42.Kg5 Bxc8 White can’t capture on c8 without allowing mate-in-1). 18.Rf3! was the most forceful approach, and if 18…dxc3 19.Bxc3 it’s easy to see the black king position is in ruins. Instead after 18.Ne4?! 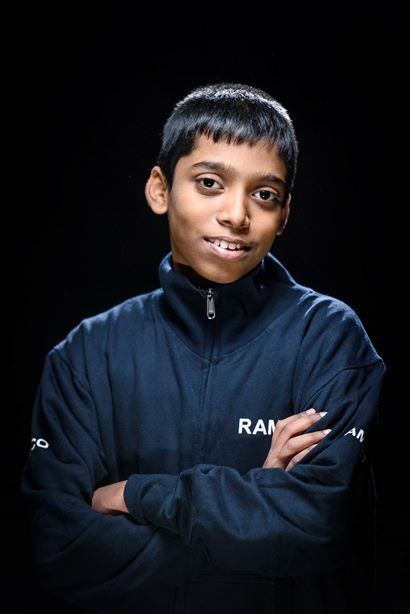 Praggnanandhaa got only an endgame a pawn up, and ultimately things ended in disaster. It seemed with h1 the “wrong” colour (Black’s bishop can’t cover the square) it should be trivial for White to defend against the h-pawn queening, but that doesn’t mean some precision isn’t required! 45.Ke3?? was a careless losing move, since after 45…Bg3! 46.Kf3 Be1! Black’s path to h1 was cut off. White can push the queenside pawns, but when eventually they all fall he’ll have to play Kg4 and the h-pawn queens. Instead simply 45.Ke2! would have left White able to deal with the h-pawn – if now 45…Bg3 then 46.Kf1. 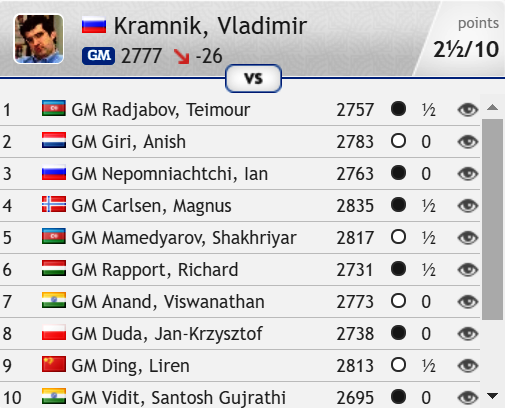 In Round 11 Magnus has a tricky pairing as Black against Radjabov, while the chasing pack have games they’re likely to press to win: Giri-Shankland, Nepomniachtchi-Fedoseev, Rapport-Ding and Anand-Duda. Kramnik-Van Foreest might also be seen as a big game for Vladimir’s chances of at least avoiding an ignominious last-placed finish! Before that on Thursday we have the final rest day of the tournament. You can use that to watch some of the Gibraltar Masters, while we’ll also have Banter Blitz with Peter Svidler, starting at 14:00 CET. Premium members can challenge Peter to a game, while everyone is welcome to watch.